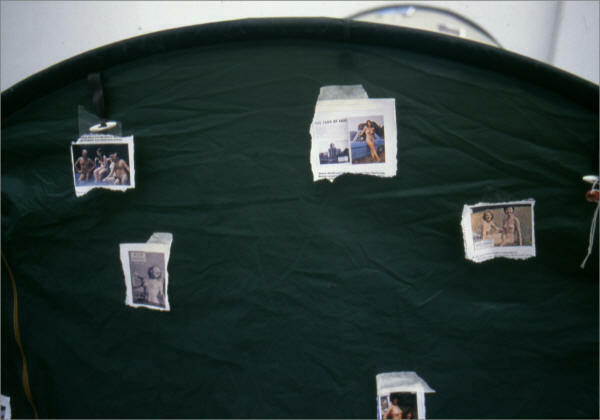 A tent covered in images of happy (naked) naturists. Inside the tent is a video of the artist attempting to start a fire by rapidly rotating a pointed stick. The work is a playful exploration and parody of the urge to 'get back to nature' seen across all industrial and post-industrial societies.